In eight years, one third of energy in Germany will come from renewable sources. However, Germany's Environment Minister still wants to go ahead and build new coal-fired power plants - environmental groups disagree. More than a year ago, Germany decided to opt out of nuclear and fossil based energy. It was replaced by “cleaner” energy sources, namely solar and water power. Until 2020, 35 percent of German electricity is to come from renewable sources, boosted to 80 percent by 2050. Eight nuclear plants have already been taken off the grid, but at the same time, both brown and black coal are still needed to guarantee an ample supply of electricity. Burning coal to protect the environment? As far as the German Environment Minister, Peter Altmaier of the conservative Christian Democrat Party, CDU, is concerned, this situation is not going to change anytime soon. Twenty-three new coal-fired power plants are being built across Germany, with the capacity to generate 24,000 megawatts. Campaigners for the environment protection group Greenpeace say these new plants will emit 150 million tons of CO2 each year. Plans by the minister to construct even more plants are being heavily criticized by the opposition and environmental groups, who believe high carbon dioxide emissions are the driving force behind climate change. “Whoever is serious about energy and climate change cannot be in favor of coal-fired power plants,” Jürgen Trittin, head of the Greens political party, said in an interview when asked about Altmaier's remarks. Greenpeace too is concerned, “We don't support the building of new coal-fired plants at all, as they are likely to remain on the grid for around 40 years. This blocks the transition towards power from renewable sources for years,” said Gerald Neubauer, an energy expert with Greenpeace, in an interview with DW. Instead, he demanded stronger support for power from renewable sources, together with the use of gas-fired plants. According to Neubauer, such plants would also be easier to handle when it comes to balancing out contributions of power from renewable sources to the grid. Another point that favors the building of new coal-fired plants for Altmaier is cost, as electricity from renewable sources is still relatively expensive. In order not to jeopardize the German economy, one would have to “be in a position to be able to offer energy at prices that can compare with that of the main power competitors in other industrialized countries.” For this to be successful, it is necessary to convince pre-existing industry of it benefits. For Greenpeace's Neubauer, a timely switch to energy from renewable sources is already financially doable. "Even today, solar and wind power are beating power prices at the stock exchange," he says. "Photovoltaics, for instance, deliver their power just when energy consumption is at its highest. 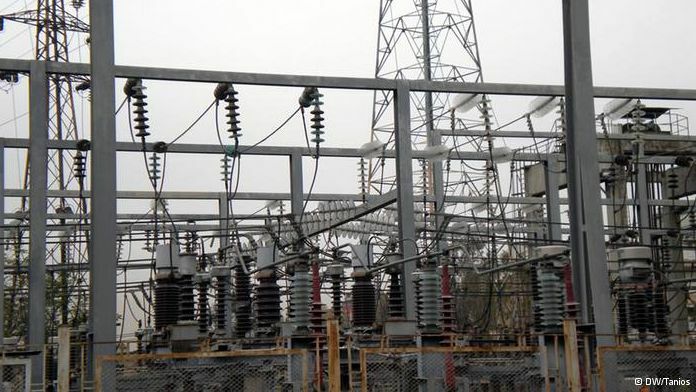 This has proven to have a lowering effect on the electricity prices at the stock exchange." Besides, according to Neubauer, electricity production from renewable sources creates significantly more jobs than a fully automated coal-firing plant would - a wrong investment in the first place, he said, as these plants would not fit into the German energy mix 10 to 20 years from now. As the energy sector is subject to lobbying from many sides, in the end, cautious political consideration is necessary, together with proper calculations of all costs involved. According to a study done by the Institute of Energy Economics and the Rational use of Energy at the University of Stuttgart, running costs for coal-fired plants are 25 to 50-percent higher than those of their gas-fired equivalents. But when it comes to the raw materials - coal and gas - gas may be up to eight times more expensive. However, in terms of carbon emissions, gas emits one third the amount of its coal competitor. Whatever the case may be, over the coming weeks, environmentalists have pledged to protest in three German regions where coal mining still takes place.